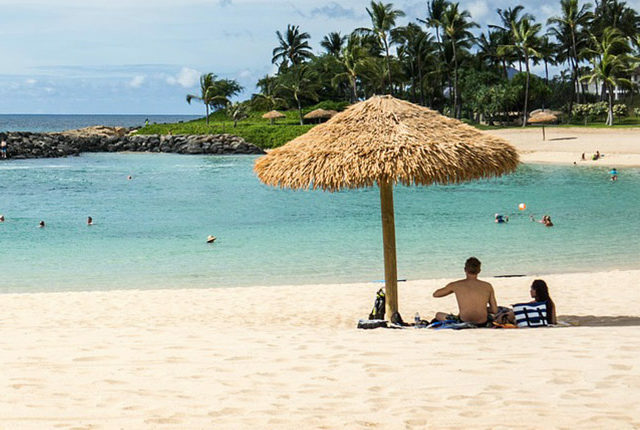 If you hate packing, there’s a chance you will love the Genius Pack. 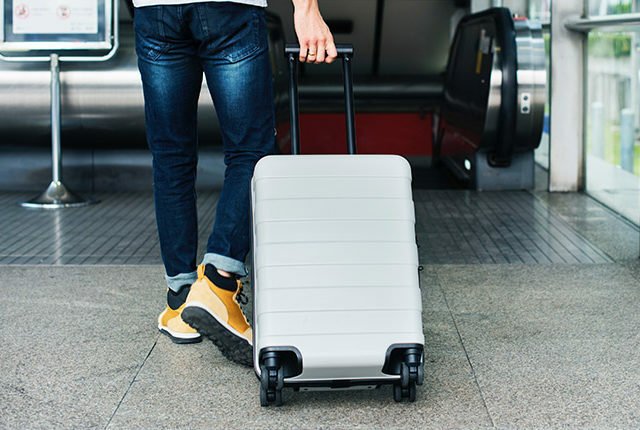 This 21-inch carry-on suitcase doesn’t just have a durable exterior and smooth wheels; it comes with a packing list and sections labeled for essentials like chargers, socks and under garments. The question: Is that really necessary? Genius Pack was created by Alfred Chehebar, who says most luggage hasn’t caught up with available technology and thus dedicates his company to creating bags with “extreme functionality.” That includes products like the “Intelligent Travel Backpack,” which also offers labeled compartments, and some “High Altitude Flight Bags.” This specific Genius Pack also comes in a 25-inch and 29-inch version. 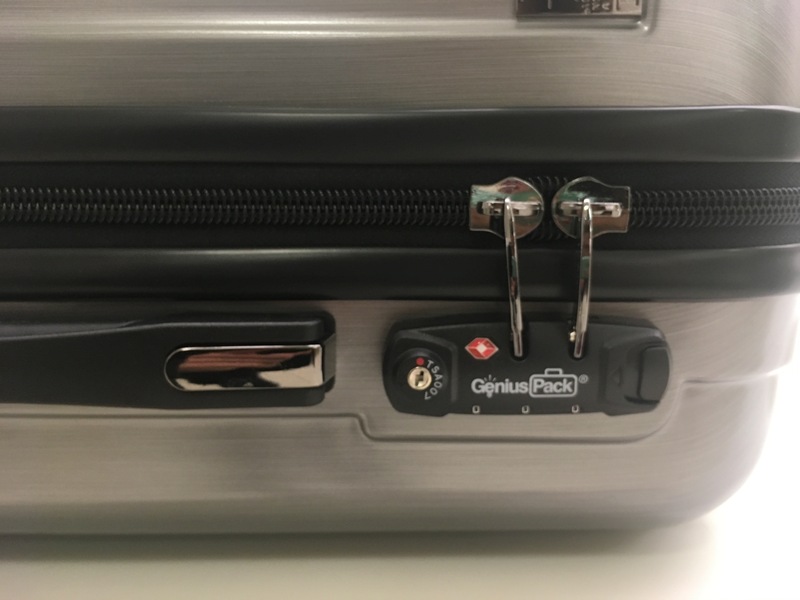 The Genius Pack will definitely stand out at baggage claim, with a bright silver exterior and distinct panels. It’s not my personal taste—it almost looks like an important package from an action movie—but the light weight of the exterior does to some degree offset the underwhelming aesthetics. This bag is under seven pounds, which is especially light for a hard shell. I had no complaints about the sturdiness of the handle or the gliding of the wheels either. As already mentioned, the biggest thing that makes the Genius Pack stand out is supposed to be its interior. 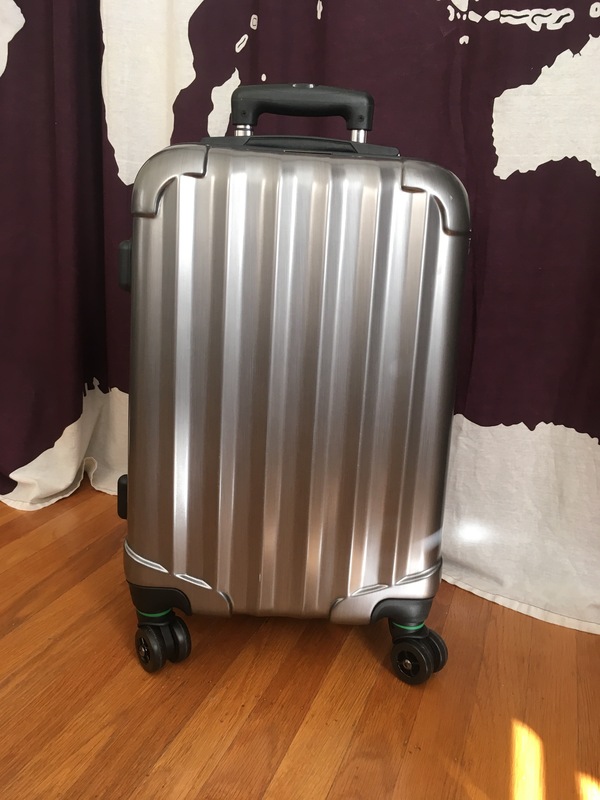 It’s described on the Genius website as the “first hard side that offers the interior organization of soft side luggage.” Interestingly, the divided interior isn’t that rare for hard shell—my favorite Samsonite carry-on also had a flap of fabric that could be zippered shut. And while Samsonite didn’t go out of its way to label that section as laundry, I was miraculously able to unlock its value as a laundry bag all on my own. That’s kind of how I feel about the labeled compartments of the Genius Pack, too. I appreciate the suggestions, but I’m also not an idiot. I’m pretty sure I can figure out how to fit all the miscellaneous items I need into a suitcase. I couldn’t fit my socks in the tiny socks container anyway, as I was traveling in December and needed several wool pairs. Also, if you’re going to create a compartment for undergarments, make sure there’s room for women’s bras as well. I could fit my underwear in that compartment, but had no space for regular or sports bras. As for chargers, I tend to keep those in my personal item so I can access them easily without unzipping my whole bag. 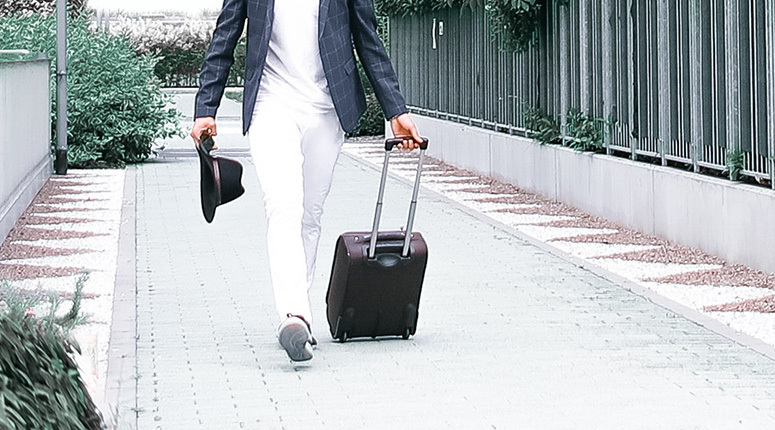 While these preferences are obviously individual, that’s precisely my point: Most travelers have their own unique quirks and packing styles. We don’t need labeled zippered compartments or a super generic packing list. 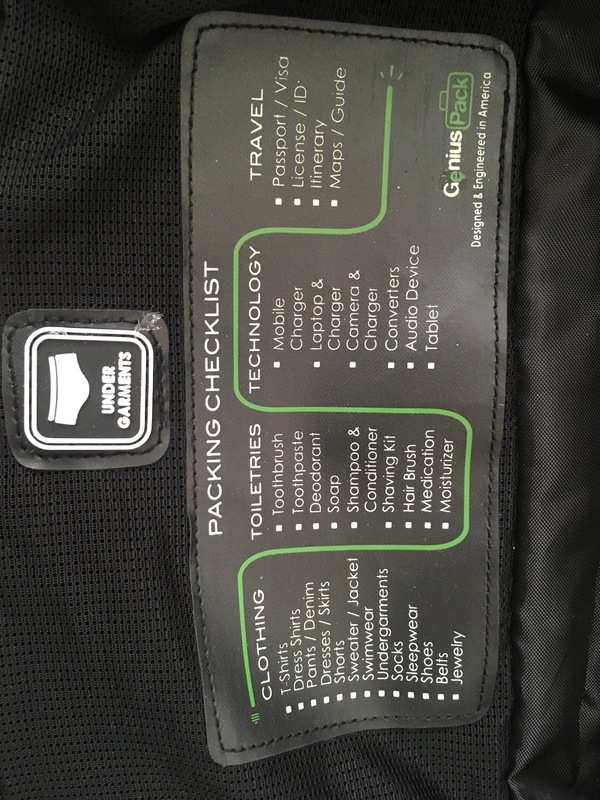 A sample from the list, which is permanently on the inside of the suitcase? T-shirts. Shorts. Socks. Shoes. Toothbrush. Hair Brush. Got it. 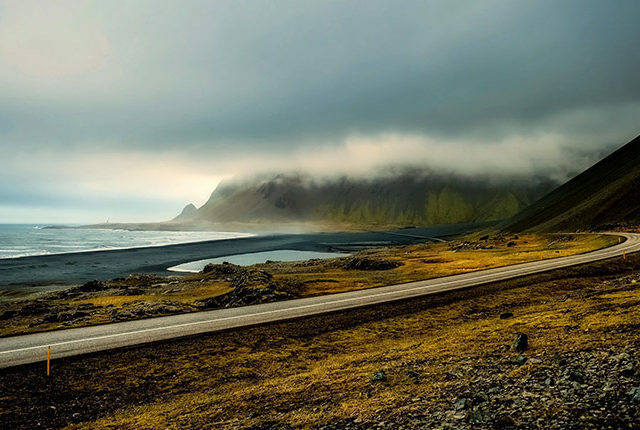 Maybe this list does help travelers remember some last-minute essentials. But I can’t help but doubt that’s enough of a reason to buy this luggage. The pros of the Genius Pack are its light-weight exterior and divided interior. The cons are the exterior style, underwhelming organizational compartments and (because of all these factors) the price. The Genius Pack isn’t a bad suitcase by any means. 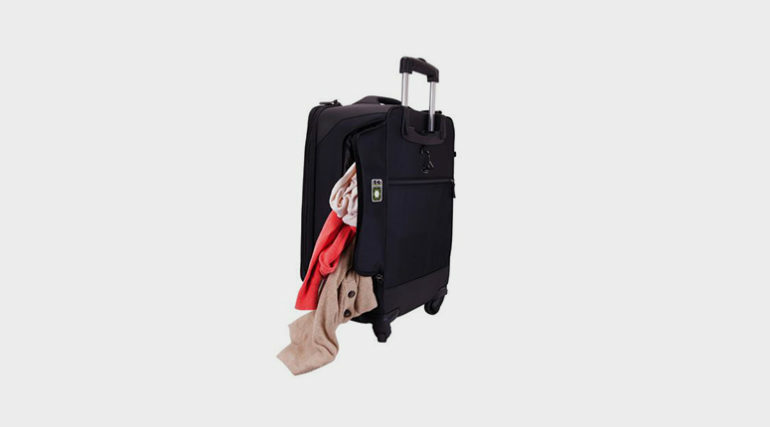 But unless the idea of having a built-in packing list and sock-specific mesh pocket really appeal to you, there’s little to make this hard-shell spinner stand out. 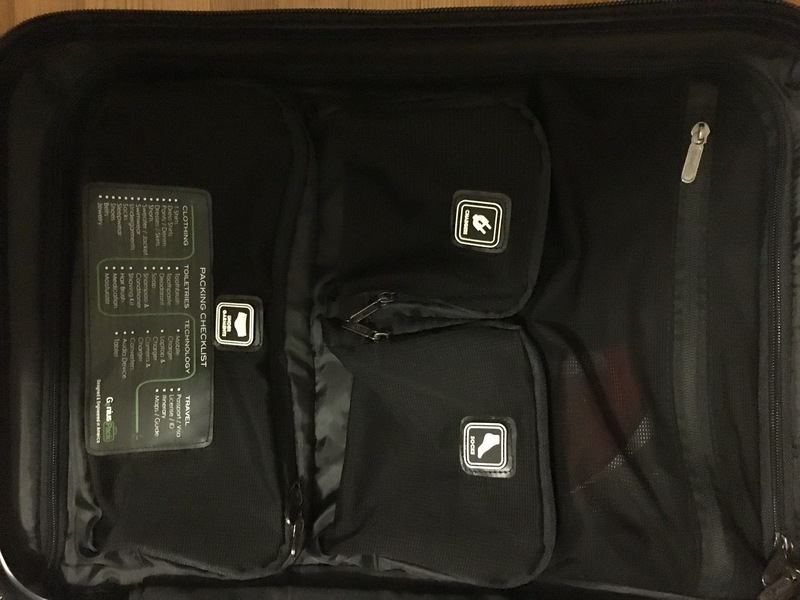 Interested in Purchasing the Genius Pack Carry On?